Sunday, June 23rd - One Day Only! Thank you to all for their valuable contributions to this program! It was a successful training event. We had 56 dogs particpate in all. 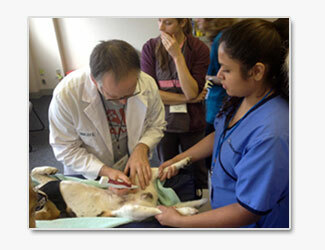 18 Veterinarians received their certification. There were 4 countries and 12 states represented in the demonstration and the training event. FREE Non-Surgical Neutering for your Male Dog - Sunday, June 23 only! Get your male dog fixed for FREE without the hassle of surgery! The procedure, called "Zeutering", is safe, effective and permanent. 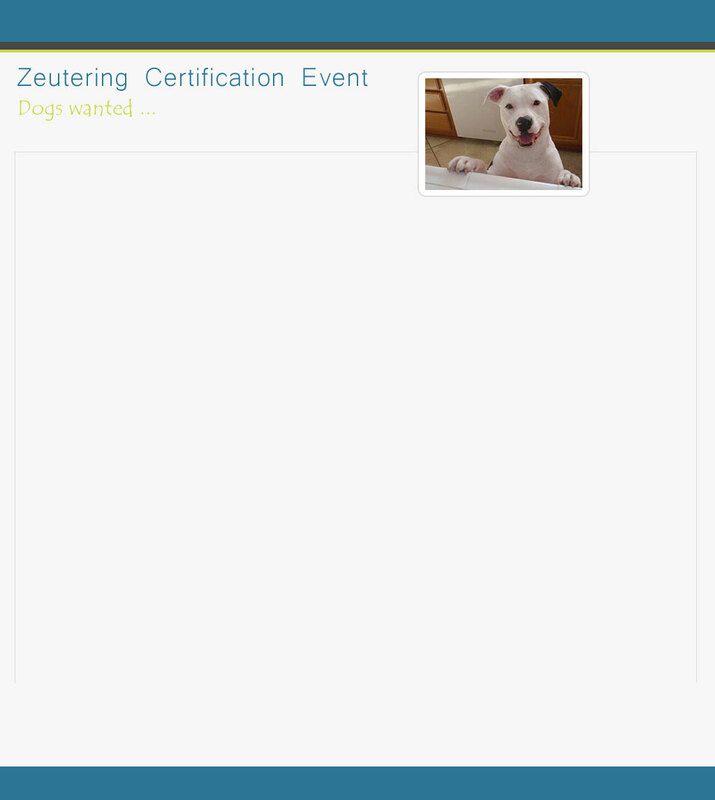 Zeutered dogs are eligible for licensing, like all dogs that are neutered. "Zeutering" typically takes 20 minutes for the procedure. The staff would like for people to drop off their dogs and plan to be called for pick up within about 2 hrs. Your dog will be under a light sedation to ensure there is minimal pain or discomfort throughout the entire procedure. All dogs will receive a certificate of Sterilization, tag, and tattoo qualifying them for reduced licensing fee as applicable. The procedure is FDA approved for male dogs. Candidates for this event are dogs over 3 months of age. If they are older than 10 months they should be less than 45 lbs. 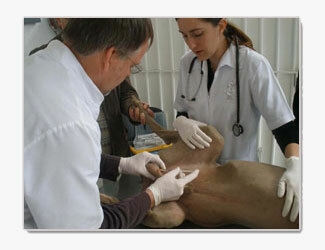 A cursory exam will be performed on all dogs to ensure the non surgical neutering procedure is appropriate for them. All procedures are performed by licensed veterinary professionals and will be done at the Not for Profit Veterinary Clinic located at 2700 NW Front Ave, Bldg. J, Portland, OR 97210. This non-surgical sterilization event is sponsored in conjunction with Ark Sciences, ACC & D and the PAW team with volunteers from Oregon Humane Society, Oregon State University College of Veterinary Medicine, Bend Veterinary Clinic and many others. Call 541.550.6820 to reserve a spot for your male dog for this FREE procedure. Availability is limited.